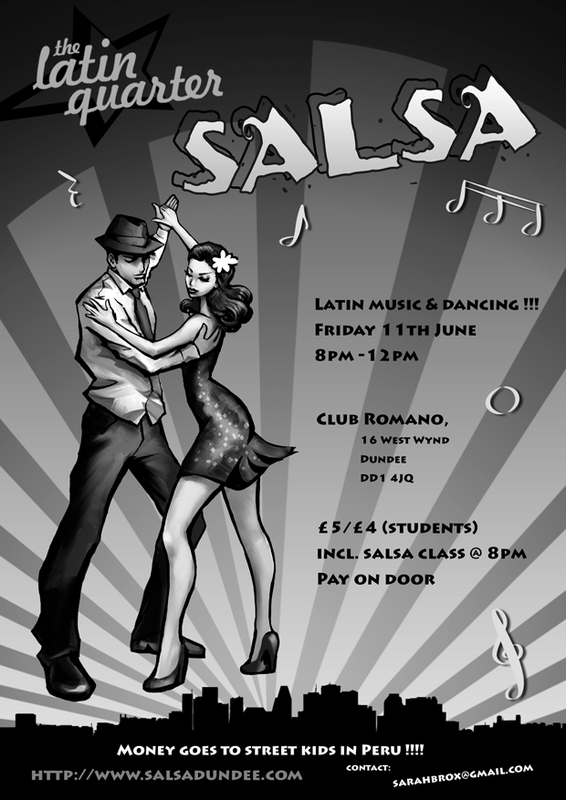 Latin Quarter Salsa & Latin dance social night, at Club Romano, West Wynd ( off Perth Rd, near Dilsee restaurant), Dundee , 8-12pm, £5/£4 (students). Beginners salsa class 8.15pm. Come along & have fun while raising money for the Azul Wasi street children project, near Cusco, Peru. See page on the this website for more details of the charity. Email sarahbrox@gmail.com for more info. Check out the NEW posters below, many thanks to Gerard & Martyn for these. Please click on them to print off inf you can pop one up somewhere or email to others to pass the word.